Once you’ve developed all your SEO friendly content it’s time to create some internal linking within your site (this may also be done as your writing your site’s content). Internal Linking refers to any link contained on your site that points to another page on your site, and it is a good way to help users and search spiders navigate through your site. Internal linking is is probably the best way to get relevant anchor text links pointing to your pages. 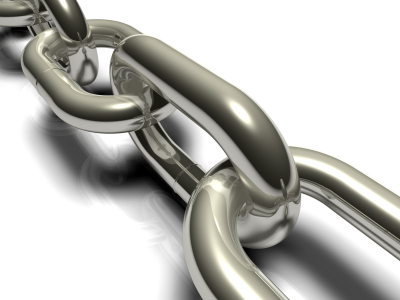 The main purpose of internal linking is to pass ‘link juice’ throughout your site. Link juice refers to the amount of search engine recognition your site has. Inbound links are like referrals from other webmasters, basically saying, “we trust this site enough to post a link on our site.” As in life, the more referrals you have the more reliable your business will appear. So, link juice is the search engine’s way of measuring your site’s reliability. A superficial way to measure link juice is to check a page’s Page Rank. To do so, you can download Google’s toolbar. Pages with higher Page Ranks pass more link juice than those with lower page ranks. Passing link juice from one page to another and developing an effective linking structure is truly an art, and the larger your site the more difficult the process becomes. The general rule I follow is to add 2 or 3 internal links per page of copy. These internal links should use specific anchor text link to refer to the page to which they are pointing. For example, this link: professional seo services, leads to my website. The text within the link, ‘professional seo services’, is the anchor text. Since you’ve already optimized each page for SEO, you have two or three relevant keyword phrases for each page. Use these phrases in your anchor text when linking to that page. If you add new pages to your site and want to ‘juice’ them (get them indexed and ranked quickly), then you can add a link to that page on some of your higher ranking pages. This will ensure that the page is crawled by spiders and indexed in search engines.